3D visualization in design is a vital component in engineering and the aerospace industry. The ability to see the process of creation of a component aids in improving its design. 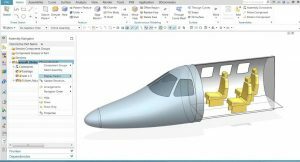 CAD designs allow aerospace engineers to view functional, advance and intuitive visualization which facilitates learning and communication, and this enhances collaboration within the engineering and the aerospace industry. 3D Visualisation – What is it? 3D visualization utilizes 3D rendering, computer-generated imagery, 3D graphics, and CAD designs. The technology has evolved in being one of the most viable solutions for producing good-quality digital content. • Improvement in design Quality – 3D CAD software offers over 700,000 templates for mechanical components. This enables drafting service providers to utilize existing templates which ensures accuracy in designs and also helps in saving time in the design of components and entire processes. • Automated Redrawing of Design – 3D CAD software offers features which automatically redraws lines and different aspects of the design, as a result of this reduces the probability of manual errors. • Reduction in Design Time – Using 3D mechanical drafting and CAD design from the design stage helps in faster development of aerospace designs and components. It also helps CAD engineer in Australia to develop designs faster and move towards the mechanical development of different aerospace components, systems, and processes. Further, these designs can be saved for future reference, as a result of this saving time in creating designs in the future. • Cost Reduction – Using 3D mechanical drafting and CAD design helps in saving time and cost for drafting contractors as CAD software comes with an extensive array of design templates which ensures that every new design does not need to begin from scratch. • Enables Better Visualisation – 3D CAD Models offers the best visual 3D imaging of different components. Using a visual graphical interface helps aeronautical engineers better understand components by demonstrating its functionality. 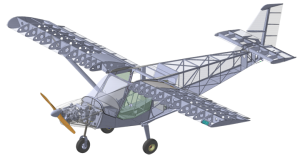 • Virtual Prototypes – Using 3D mechanical drafting and CAD design enables aerospace engineers to create virtual prototypes and components without the need for creating physical components. Building and testing physical components reduces design time and manufacturing of the components, processes and entire systems. CAD drafting and 3D Modelling is vital in the aerospace industry as the design is highly critical in this industry. A small error can be the difference between the successful blast-off and a space shuttle blasting during launch.